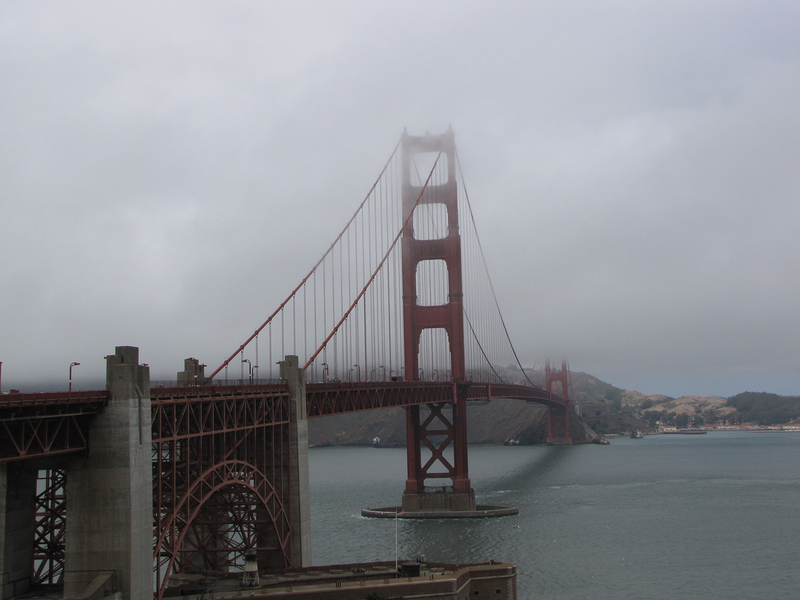 The Golden Gate Bridge is just…one of those things. I mean, there are other bridges. Longer bridges, older bridges, more architecturally daring bridges. It could be only that whoever decided to paint the damn thing International Orange was a marketing genius, but San Francisco’s defining landmark is absolutely arresting, even in the fog that cloaked the Bay Area during most of our two night stay. We drove over it as our ceremonial “We Are Here” moment, but our real destination was a Super 8 in Berkeley. (Staying in San Francisco proper would have been hell on the pocketbook.) Which meant that the majesty of the Golden Gate was soon followed by the sheer terror of crossing the John F. McCarthy Memorial Bridge, a five-and-a-half mile double-decker span that is not easy on the eyes or the phobias. Nothing bad happened, obviously, but it did give me plenty of time to think of all the bad things that could happen. 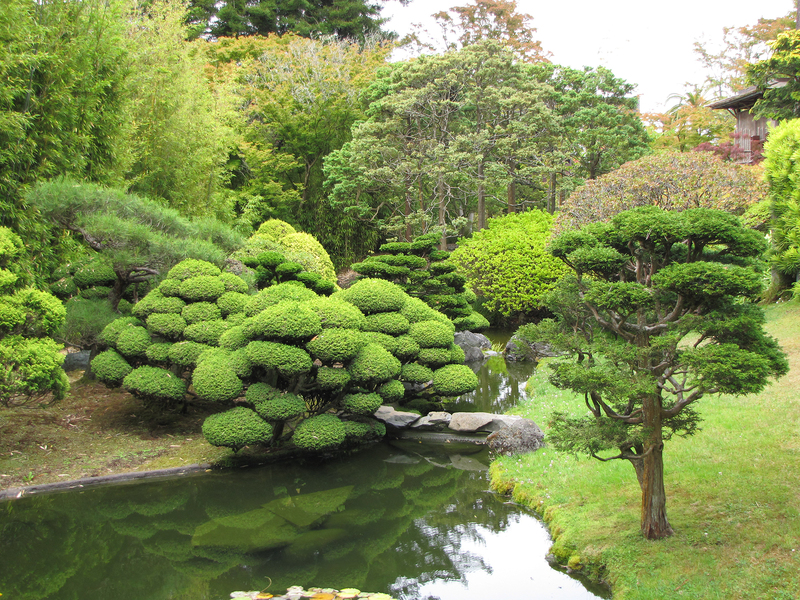 My companion had never been to the Bay Area, and it had been 20 years or more since I set foot there. I had fond memories, most of them revolving around pizza. So after hurling our luggage into our room, we set off in search of it. Our route led us straight through the University of California campus, some of the most impressive college grounds I’ve had the pleasure to set foot on. I was a terrible underachiever in school and burned out after less than a year at Missouri, but being at Berkeley made me wonder about what my life would have been had I applied myself and wound up in such a grand, wacky place. 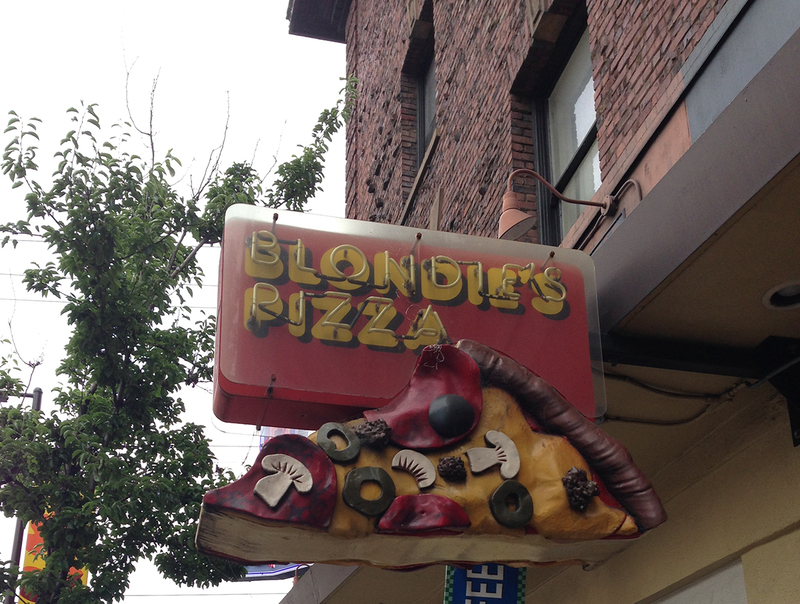 But as I passed through Sather Gate and out onto Telegraph Avenue, my reverie was swept aside by why I had truly come here, by what really matters in any young man’s life: Blondie’s Pizza. In my youth, my older brother and I set out on a quixotic journey to eat and rank the finest pizzas in Northern California. On that crazy trip, we ended up eating 12 pizzas in 13 days, and Blondie’s emerged as the champion of both the list and our clogged arteries. There is nothing fancy about it, it’s your classic by-the-slice joint, but it’s just damn good. Spicy pepperoni, not too much sauce, thin but not too thin crust, decent price. And it was still good, though I don’t think it could hold up to 20 years of build-up. But it was amazing to be back where my insane devotion to pizza had first been tested by fire and emerged more resolute than ever. We lingered around Telegraph as we digested our slices, but couldn’t stay too late. Berkeley and Blondie’s was a mere appetizer for the next day’s meal, and we had to get plenty of sleep for the buffet that would be San Francisco. Our plans and us rode on the BART and the Muni. Back home, we don’t use public transportation, and here we were giving over our fate to it. But the BART was decent if slightly cramped, and the buses ran well once we figured out where the hell we needed to be, which wasn’t always clear. Still, we made it to our first destination, Fisherman’s Wharf, without too much confusion. The Wharf is another of those super-touristy shopping malls on a pier that you feel both obligated to and revolted by all at the same time. There is a good view of the Bay there, and the sea lions still call the place home, so it’s not all grimy commerce. Next, we revisited the Golden Gate Bridge. Once again, it was shrouded in fog, but I almost think that’s the way it’s meant to be seen. Those shiny postcards of the bridge streaking across some sun-soaked patch of water remind me more of a penguin waddling through a desert than they do San Francisco. Fog is this bridge’s natural habitat. So we walked across it, me snapping pictures, my girlfriend yanking me out of the way of cyclists. Across the park is another legendary San Francisco neighborhood: Haight-Ashbury. It was once the birthplace of the counter-culture movement. Today, it is hilariously gentrified. Whole Foods and McDonalds now serve as the lions at the gate, and you’ll see more moms with strollers than social revolutionaries, but it still clings to bits and pieces of its more rowdy roots. My next piece of pizza nostalgia, Escape From New York, was virtually unchanged since last I saw it in both decor and taste. After seeing a closed Mazzio’s back in Joplin, it was a relief to see time stand still in this case. 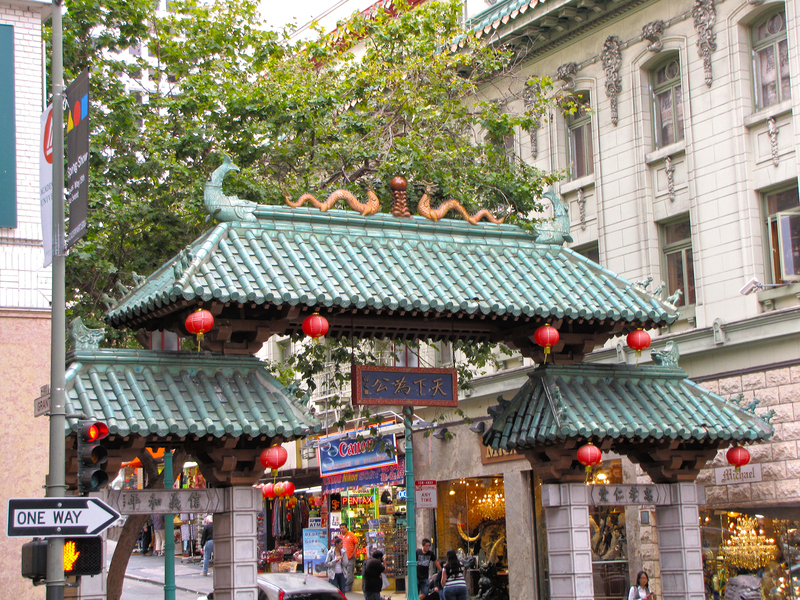 From there, we caught the Muni back to Chinatown. This is also super-touristy. What you get here is not so much China as it is our own limited perception of China being sold to us by Chinese-Americans. Cheeky “Mao” hats hang on racks beside those little paw-waving porcelain cats. Japanese and Korean trinkets get thrown into the mix, too. And wouldn’t you know it, we ran into that Owl Purse again. This time, in a wider selection of colors and sizes. So much for it being a genuine Mexican product! Now I don’t know what to believe. But the Owl Purse is pretty cool regardless, and my girlfriend couldn’t pass it up a second time. Especially when she could get it in purple! This city’s got a definite gate theme going for it. Afterwards, we sat down for some Chinese food because…duh…but we did not get to order. Consulting my iPhone and the BART schedule and the clock, I discovered to no small amount of panic that we had about 15 minutes to get to a train before service shut down and we would be trapped on the wrong side of the Bay. We quickly paid for our drinks and dashed down the stairs, first power-walking down Grant Avenue, then flat-out running. We sprinted probably eight blocks before arriving back at the Embarcadero station, mere seconds before the last train out pulled up. It was a fitting end to a frantic day of unbridled tourism. Even more fitting? Star Trek IV: The Voyage Home was actually playing on our motel television when we got back. And it was thematic cohesion in more ways than one…we actually were voyaging home. Tomorrow, we would turn away from the cool, cloudy coast and head east. Tags: Berkeley, California, Golden Gate Bridge, San Francisco, travel. Bookmark the permalink. Do they shut the trains down early or were you just eating really late? Seems strange to me that a public transportation service would shut down during what I presume were reasonable hours to be out and around. The train we needed to get back across and to the station closest to our motel only runs until 8:30pm or so. But, looking at the schedule now, there are other trains that cross the bay and run later, but would have required a transfer…we just didn’t know that at the time. Ah. That’s a little more reasonable.